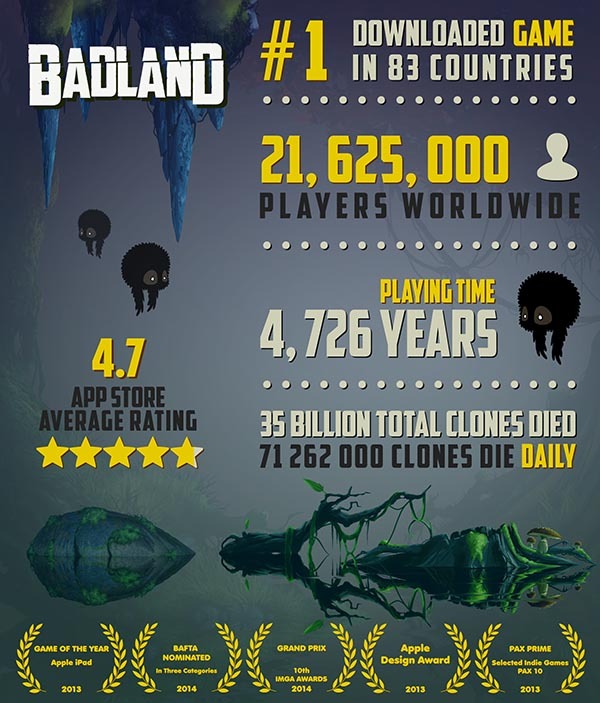 Our Game of the Year -winning atmospheric hit game, BADLAND, is celebrating Christmas and its 20 MILLIONTH player (please see the infographics below) with a brand new “DAYDREAM’ level update (trailer: https://www.youtube.com/watch?v=NiEf2NzBxMw&hd=1). The update is available for all mobile platforms: App Store, Android, Windows Phone & BlackBerry. Featuring, 10 new single player levels, 30 new missions and 5 new achievements- the ‘DAYDREAM’ pack also includes SNORF’s (one of the multiplayer characters in BADLAND) journey through some of the more bizarre parts of BADLAND. It brings the number of single player levels in BADLAND to a FULL 100 LEVELS! In wishing our fans the happiest of holidays, the new DAYDREAM content is FREE on the App Store for a limited time and at launch discount on Android. 2015 will be the most epic BADLAND year yet and is already far in the making as we are working on multiple BADLAND games! 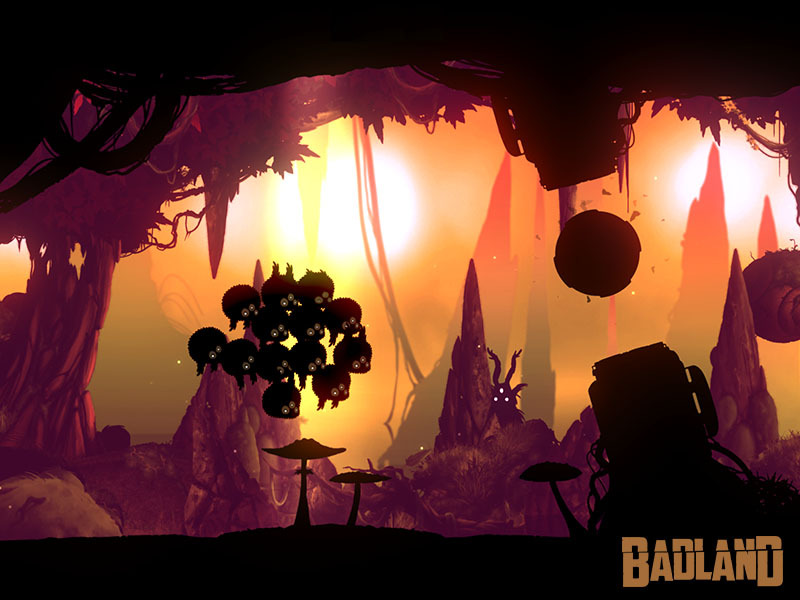 Stay tuned for more BADLAND news! ← Let me introduce you to Chico Mello, one of the best BADLAND players in the universe! What is the next cool thing in BADLAND?